2010, August, at the age of 72, I started seriously taking flying lessons. Within two years I had amassed 360 hours, flown almost all around New Zealand (half of it in the back of a weight-shift), qualified in mountain flying, unusual attitudes and the full-on lazy-8, had owned a gyro-copter (but found it too much to handle) and was preparing my second IBIS with an injected Rotax 912iS and so-called 'Glass Cockpit'. New Zealand is a great place to fly, especially Canterbury. 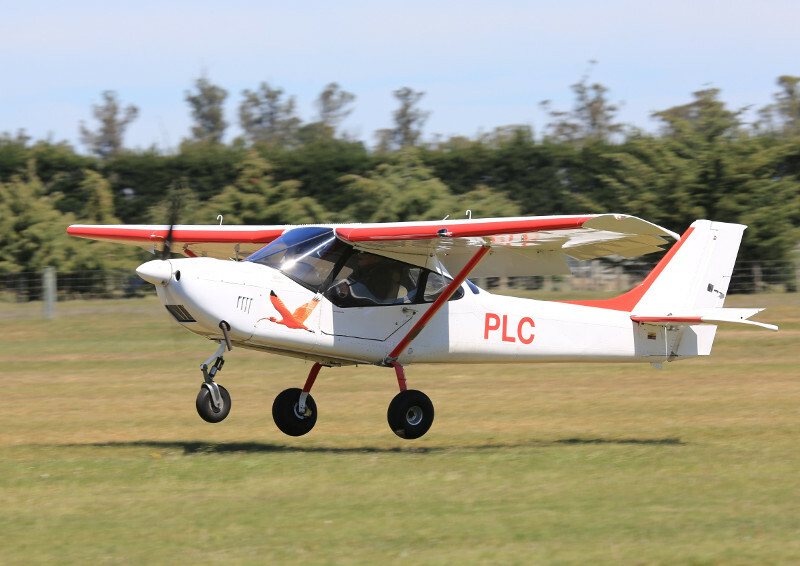 At Rangiora, where we are based, there is an active microlight club which provides a centre of excellence and a host of fun activities. Within about an hour (flying time) you can experience plains, mountains and gorges, and go from coast to coast. With the advancing years (at present, in 2019, I'm 81 years of age but I've still only flown about 1200 hours) for passenger safety I now only carry those who can fly themselves to safety (in case I become disabled), and I use oxygen above 5000'. The little plane is now equipped with an autopilot and it has very benign characteristics - it's hard work trying to make it stall, and it can be flown hands-off, except during take-off and landing, of course. When it's not flying weather I work on my current project - refitting a Zenair Mono-Z to become a glider tug. That's been quite an exercise but it's getting nearer to completion. Yes, I'll keep flying as long as I can! Residence: 239 West Belt, Rangiora, 7400, New Zealand.